If you have a great idea for a Poll, you can Suggest one to the Editors. 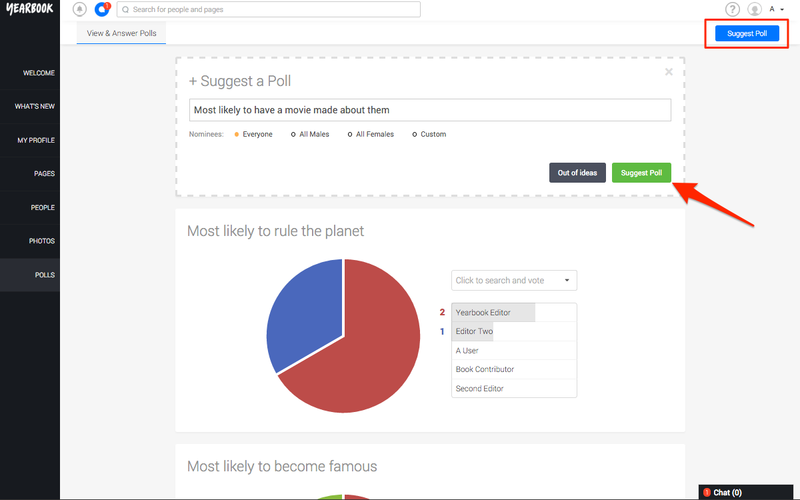 Enter the title you’d like, and choose the Nominees you want to be associated with this Poll. Click the green Suggest Poll button to send the suggestion to the Editors. They will be able to either approve your Poll, or reject it. If your poll is approved, it will be automatically added to the book so that people can start voting in it.